Why Should I Get Cabling For My Home? How Much Will Cabling Cost? It will first depend on whether the job requires Standard or Custom Cabling services. If Custom Cabling is needed, the cost and complexity of the job will be determined when our technician visits your place for the free site survey. An official cost quote will then be sent to you, after which you can choose whether to proceed with the Custom cabling work. How Do I Sign Up and What’s the Installation Process? If you’re a new customer, you can select cabling services as part of your order under ‘Add-Ons’. When selected, a free site survey will be conducted on the same day as your broadband service installation. Site survey fee of $49 will be chargeable for existing customers who did not sign-up for this service previously at point of sign-up. During the site survey, you can inform the visiting technician what your requirements are. The technician will evaluate your house layout and determinate whether Standard or Custom Cabling services will be required. If only Standard Cabling is required, the cabling work can be competed the same day as the site survey. 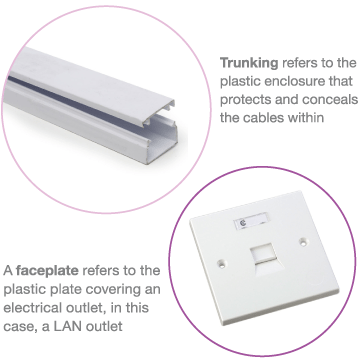 If Custom Cabling is required, a cost quotation will be sent to you based on your requirements. If you are agreeable to the cost, another appointment to perform the cabling will be arranged.